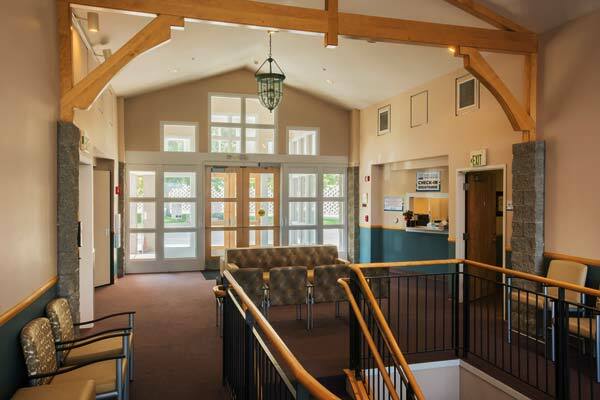 A new lobby greets patients at Three Rivers Orthopedics and Three Rivers Family Medicine in Brewster. Three Rivers Hospital in Brewster announced that Three Rivers Orthopedics, the orthopedic surgery and specialty clinic, and Three Rivers Family Medicine, the general surgery and OB/GYN surgical specialty clinic, have moved to 415 Hospital Way. Both clinics will be operating in the upper level of the Hillcrest Building adjacent to the hospital. The new space includes an airy lobby with new furniture. Dr. Gordon Tagge, Dr. Ty Witt, Dr. Jonothan Miller and Rob Lamberton, PAC, will all see patients in the new clinic space. Patients will still have all the benefits of being connected to Three Rivers Hospital. Radiology, labs, and all other vital services are nearby. The move is part of the hospital’s strategic objectives, as the space recently vacated by the clinic will be converted to the community’s new emergency room thanks to a loan made available because of the communities’ support through the levy lid lift, according to a press release from the hospital. Work began on the renovation Oct. 8 and hospital officials hope to have the new space operational by the end of 2018.